Greg Demonteverde is the App Systems Analyst IV for Dignity Health in the Pasadena office. Greg’s focus is on the following philanthropic areas: Area of Greatest Need, Employee Emergency Assistance, and Community Health Partnership Funds. He loves Dignity Health’s core mission to provide a healing ministry in communities they serve and for families in need within the organization. Greg's motivation for giving stems from the philosophy of being a good steward of God’s continual blessings and having the confidence that God will do the rest. Greg has also been a recipient of precious time and resources from gracious donors, most of whom are faceless still to this day. Seeing how our resources can transform and save lives allows us to experience the blessing of their collective impact for making a difference in the world. One of Greg’s fondest memories at Dignity Health occurred during the very first electronic health records implementation at North State, when co-workers and customers extended their sincere gratitude for his contribution. It validated the use of his skill set to help meet the goals of Dignity Health – enhance patient care, safety, standardize efficiencies, and improve multi-disciplinary collaboration. When called upon, Greg sings and plays guitar in leading the contemporary worship at the church he and his wife attend in Glendora, CA. 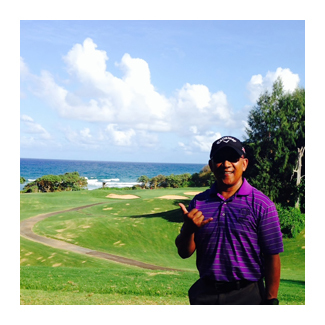 He’s also an avid golfer and enjoys traveling to tropical destinations.